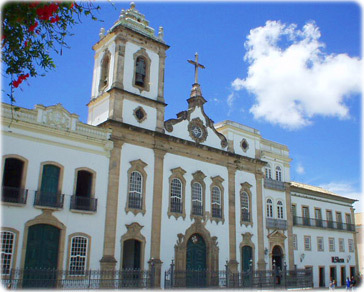 Bahia is a state (estado) of northeast Brazil. Its capital is Salvador. Population: 14 millions (2010), the fourth most populous Brazilian state. It was the first Brazilian piece of land discovered by the European in 1500. It has beautiful beaches and great historic heritage. 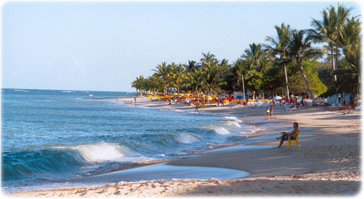 Guaiú beach, in Santo André, southern Bahia. 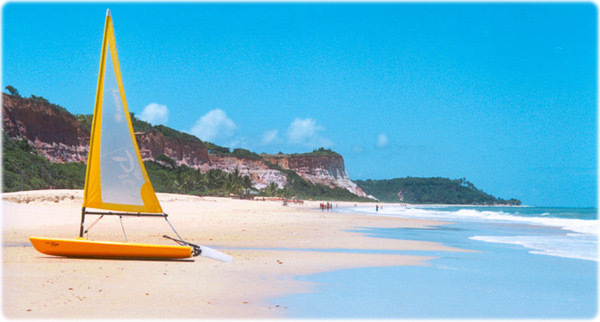 The coastline of Bahia is more than 621 miles long and has natural beauties are scattered everywhere. View of the Historic Center of Salvador, Brazil. The city, founded in the early 16th century, was one of the biggest in America until 19th century. It was the first city of Brazil and its capital until mid-18th century. 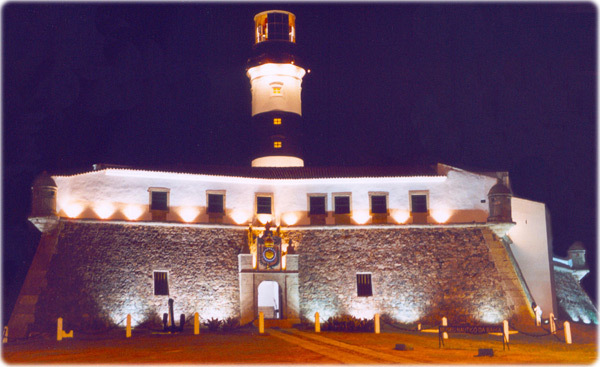 Farol da Barra in Salvador, the first lighthouse in America. Above, the Historic Center of Porto Seguro. Below, Coroa Vermelha beach in Santa Cruz de Cabrália. 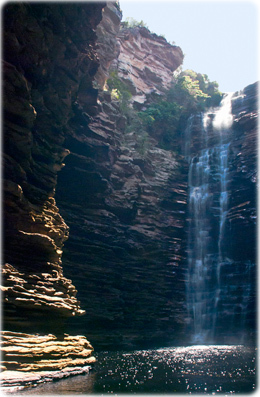 Cachoeira do Buracão, in Ibicoara, state of Bahia. 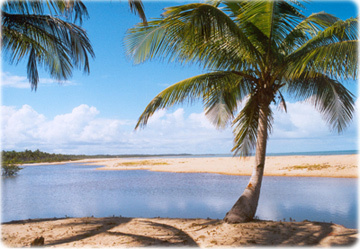 Beach in Porto Seguro. The place where Brazil was discovered in 1500 by Cabral. Copyright © Geographic Guide Travel.